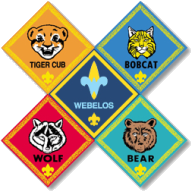 Pack 10 will be camping out at Sherando Lake on Wednesday May 14th. Plan to join us for fun in the great outdoors! For information, contact the Cub Master or Committee Chair.